Move In Ready! 4 Bedroom. 2.1 Bath. 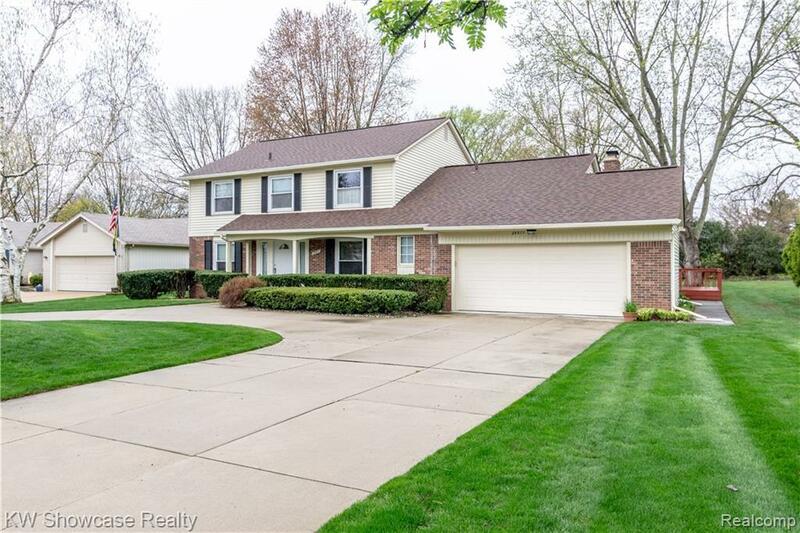 Beautiful 2 Story Family Home Nestled in Kingspointe Sub of Farmington Hills! First floor offers wood flooring, BRAND NEW CARPET IN THE WHOLE HOUSE. Brand new paint as well. Spacious Family room w/ spectacular brick fireplace. Formal dining & large living room. Spacious kitchen with granite counters. Library/Office with wood floors as well. Upper level provides large master bedroom with private bath. 3 more spacious bedrooms . Large full bath w/ double sinks complete upper level. Lower level offers almost 1600 feet with the studs in place for you to finish. Large deck and tennis court/ice rink. professional landscape w/circular driveway. Fully renovated & updated to perfection & exceptionally maintained! Within close proximity & connected to Rolling Oaks serene walking trails w/play structures. Easy access to expressways, dining & shopping.